In the world of New Hampshire hotels and motels, cabins and cottages serve a useful purpose for all kinds of visitors: large or extended families, outdoor sports enthusiasts, reunions, weddings, gatherings of fraternal or business organizations, and other occasions where people want to spread out in home-like comfort near New Hampshire’s beautiful forests and lakes and rivers. They are a favorite choice for a waterfront vacation. 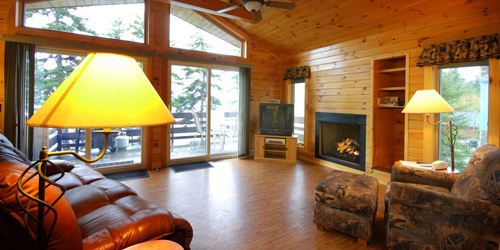 NH Cabins and cottages may include a living-dining area, multiple bedrooms, kitchens, TV, and porches. 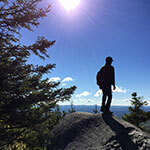 This is a wonderful lodging option for an outdoor vacation of hiking, swimming, boating, fishing, and snow sports in the White Mountains, Western Lakes and Mountains, or Lakes regions of NH. 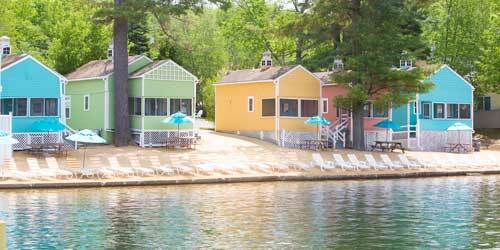 The NASWA Resort’s charming “Colorful Cottages” have been a family favorite Lake Winnipesaukee destination for over 83 years. Our one room and 2 bedroom cottages, located just steps to the largest private beach on Lake Winnipesaukee are fully equipped with everything you need! 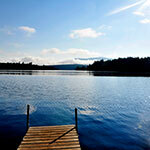 Just pack your swimsuit and sunscreen and get ready to enjoy all that Lake Winnipesaukee has to offer. Lounge on the beach, explore the lake in our complimentary paddleboats, paddleboards and kayaks, or sip on a cocktail from the World-Famous NazBar & Grill! Be sure to catch one of the best sunsets on the Lake while roasting S’mores in our beachside fire pit! Kids stay and eat free! Our 60 cottages and two lodges are scattered among shorefront pines and granite outcroppings. Each has twin beds, a fireplace, a screened-in porch, private dock, and an antique ice box where ice is delivered daily. Spread over 115 acres, two peninsulas, and along over a mile of lakeshore, RDC offers a rustic simplicity, respect for the land and good old fashioned fun. 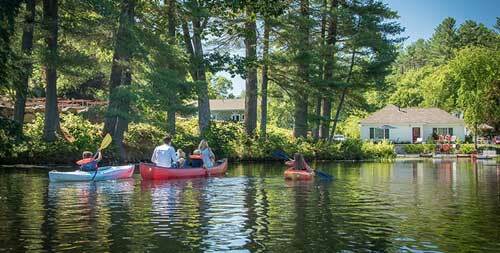 Rockywold-Deephaven Camps have offered families an ideal place to gather and soak in the quiet, simple pleasures of the New Hampshire wilderness since 1897. If small mouth bass fishing, rollicking square dances, heaping buffet-style meals, quiet afternoon card games, hikes in the White Mountains, canoeing, tennis and a really good book sound like your idea of vacation, welcome to RDC! A cabin in the woods, a cottage by a lake or on a mountaintop sounds just about perfect. It gets better. You can choose from all of the above. There’s cozy and comfortable with private bath and 2 guest rooms – some with locking doors between units – and more spacious and luxurious lodgings in the King Pine Cottage, a 2-room suite with ground level access, full bath, air conditioning and kitchen with mini-fridge and microwave. The Lakeside cottage on Purity Lake offers a small sandy beach and sitting area plus docks with canoes, kayaks and rowboats. It’s conveniently located between The Mill indoor pool and the Inn Dining Room. Go ahead. Pick. You can’t lose. Great for couples, families and groups. 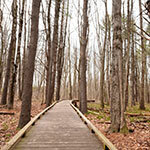 Experience the great outdoors without sacrificing the comforts of home at Lopstick in New Hampshire’s Great North Woods. The lodge’s 55 cabins and cottages are both rustic (think heart-of-pine paneling) and modern (imagine two-person Jacuzzis) and are right on snowmobile and ATV trails. 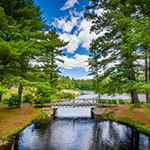 Many are also right on secluded ponds and the river, ideal for fishing. 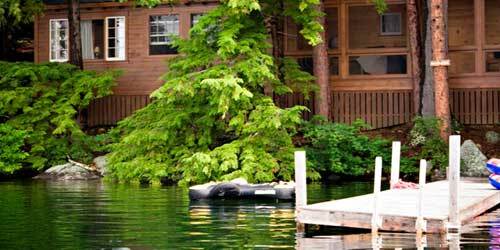 Some cabins have gas or wood-burning fireplaces, private docks or porches or decks overlooking a lake. 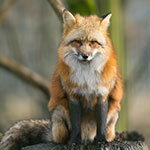 Many are pet-friendly, and some are perfect for two families. Lopstick provides boat and snowmobile rentals if you left yours at home with lots of suggestions (as well as guides) for fun excursions all four seasons of the year.